Read This If You Were Terminated By Stripe! Today’s businesses must process payments securely and easily. Whether you have a brick and mortar business or an online ecommerce store, processing payments is essential to your long-term success and customer service. But processing credit card payments can be expensive if you aren’t using the right merchant account service provider. Business owners must understand the best options available in order to avoid high overhead costs and fees and protect themselves from fraud and chargebacks. Stripe is a platform that gives today’s businesses an easy way to accept credit card payments. It’s currently used in Canada, US, UK, Ireland, and Australia, and they are introducing it to other European countries. Businesses must first consider the cost of doing business through platforms like Stripe. Although Stripe doesn’t charge a monthly fee, there are other costs to be aware of. Like PayPal, Stripe charges a fee for each transaction, and it’s automatically subtracted from the payment received. The fee per transaction is 2.9% plus 30 cents. The platform doesn’t support ACH or check transactions, which makes it difficult for some businesses to fulfill purchase orders. Fraud risk – the platform doesn’t provide 3D Secure, which is used as a security tool for online payment transactions. Fraud can be costly to businesses, and the lack of this security measure causes many to move away from Stripe and use other merchant account providers. Security – The Payment Card Industry Data Security Standard (PCI DSS) is a goal that businesses must achieve in order to protect the information provided by customers. The use of Stripe doesn’t automatically meet this standard. It’s the responsibility of businesses to comply with the PCI DSS when using Stripe. If you were terminated by Stripe for any reason, be assured that there are alternate and superior options available to process payments and protect your business from chargebacks and fraud. A traditional merchant account provides unique benefits that platforms like Stripe and PayPal don’t, and merchant accounts provide quicker access to your payments. Chargeback fees can be high with Stripe and other platforms. A merchant account provider like MerchACT can provide up-to-date resources that help protect your business from fraud, chargebacks, and other payment processing issues. A merchant account is a better option for businesses when compared to Stripe, PayPal, and other aggregator platforms. 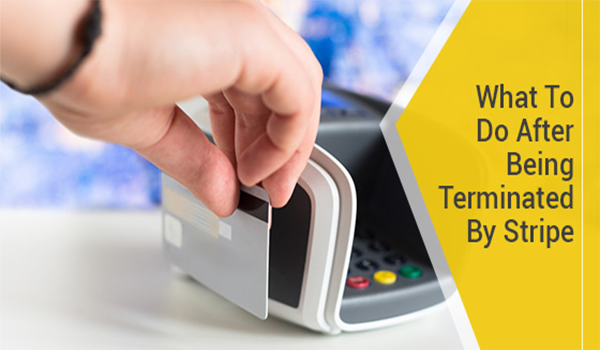 Per-transaction fees can quickly increase beyond what most businesses can afford. A monthly fee for a dedicated merchant account can save you money over time. A quality merchant account provider is essential for protecting your business and its customers.